A motorist in Hamilton, Scotland has criticised a car garage after he took his vehicle in for an MOT and it was loaned out as a courtesy car to another customer. Robert Hamilton has hit out at The Auto Safety Centre in Avon Street after he arrived to collect his black Vauxhall Astra only to find that it was not still at the garage. It transpired that a blunder by the car repair centre meant that Mr Hamilton's car had been given to another customer while their vehicle was being repaired, with all his personal belongings still inside. While a road risks insurance policy will provide protection for customers' cars when they are being driven by a member of the garage's staff, this does not cover non-employees to do the same. Furthermore, a combined motor trade insurance policy offers cover against damage or theft for customers' vehicles, but this is only valid when the cars are stored on the business' premises so again would be void in this instance. Mr Hamilton told the Daily Record: “I put my car in to have an MOT carried out on a Saturday. To my knowledge the car was going to be fixed on that day. When I tried to call to find out when it was available for collection there was no response until I got someone on the Monday. "When I turned up to collect my car they told me it had been given to another customer. I couldn’t believe it. They told me a gentleman turned up with his young son to drop his car off and needed a car to get home and they gave him my car." When his car was returned the next day, Mr Hamilton's vehicle pack, including the car manual and service history, were missing from the inside. 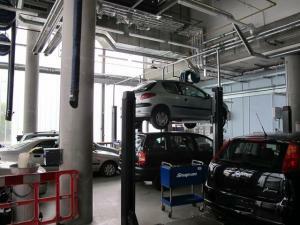 The garage has promised to replace them but the disgruntled customer simply says that it is "not good enough".